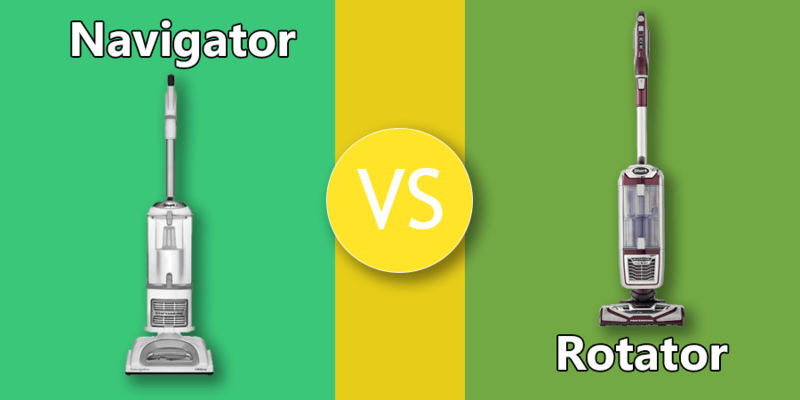 Home » Shark Navigator vs Rotator: Find Out Which One Is Better? Are you looking for quality features in a mid–priced vacuum cleaner? If the answer is yes, we have just the right selections for you – Shark Rotator and Shark Navigator. But between these two, which is the best Shark vacuum to buy? To help you in your quest for the best vacuum cleaner in a budget, we will do an in–depth review of Shark Navigator nv370 and Shark Rotator nv752. We will compare the Shark vacuum cleaners side by side. By the end of this read, you, an informed buyer, will learn the difference between the Shark vacuum models. We are going to reveal one red flag of each model before our comparison segment to save you some time. Unlike the Rotator, Shark Navigator does not sport a built in light. It may not seem that big of a deal right now. But if your cleaning sessions are mostly scheduled at night and your place has dimly lit areas, you might want to reconsider getting the Shark Navigator. The Shark Rotator NV752 has very impressive user ratings. Despite its ability to perform thorough cleaning jobs, users complained about the device being too heavy. The vacuum cleaner weighs heavier than most Shark models at a weight of 15.6 pounds. If you are living in a duplex house, you should not get this Shark Rotator. Carrying the vacuum cleaner up and down the stairs can be tedious. We will compare the Shark Navigator and Shark Rotator based on different aspects of the vacuum cleaners. Let’s begin by learning what accessories come with the models. Shark Rotator clearly packs more attachments than the Navigator. Shark Navigator’s 24” additional crevice tool is a nice touch. But the Rotator is far ahead in the race with tools like Hard Floor Genie and the mini motorized tool. Before getting started with the detailed comparison guide, Please play the video below in order to see a live comparison. Shark Navigator NV370 delivers remarkable performance, especially on bare floors. 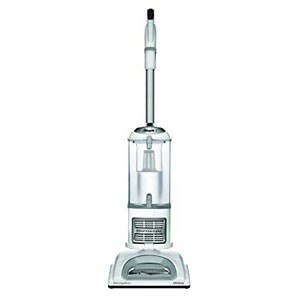 It features a Gentle Deep Clean Carpet technology which provides strong suction while cleaning carpets. Shark Rotator is equipped with this technology as well. Though both of the vacuum cleaners make use of the same carpet cleaning technology, the Rotator does it slightly better with stiff brushes. The Rotator NV752 model we are discussing here has a nickname – the TruePet. It clearly indicates that the product is targeted toward pet owners. While the Navigator can handle the hair your pet sheds, the Rotator has additional attachments to do it better. Its trademark carpet cleaning technology and TruePet mini motorized cleaning head pick up pet hair from the depths of your carpet. Shark gives you another tool with both the Navigator and Rotator models – the pet upholstery tool. This attachment removes pet hair of off fabric upholstery with ease. Hardwood floors are sort of difficult to spot dirt on. The Navigator NV370’s dust-away hard floor attachment reliably picks dirt up from hard floors. However, the Rotator’s Hard Floor Genie has an upgraded brush roll that cleans bare floors faster than any other vacuum cleaner within the same range. Thanks to this tool, the Rotator excels at picking up large debris. The microfiber pads ensure that the tiniest dirt particle lifts and gets transported into a sealed system. The Navigator’s 24”bonus crevice tool helps a great deal when cleaning stairs and hard to reach areas. The Rotator NV752’s versatility is its strongest suit. It cleans up effectively across many different types of surfaces – be it carpeted, bare, tile or hardwood. On the grounds of cleaning performance, Rotator NV752 beats the Navigator NV370. Both Shark models are powered by 1200 watt motors, demonstrating same level of suction power. The power is more than sufficient for an average household. The Rotator’s motor is comparatively the quiet one. Shark Navigator and Shark Rotator, both models sport 30 feet cords. The purpose of this cord is to extend the vacuum cleaners’ reach to further parts of a large room or even to a different room. You can carry out a corner to corner cleaning session without having to plug it in a different socket. Both of the vacuum cleaners come with the Swivel Steering technology. It lets you direct your vacuum cleaner to the right direction by simply steering the handle. Navigator sports a cleaning head as wide as 9.5 inches. But the cleaning pathway of the Rotator is wider at 11.5 inches. This means the Rotator covers more of the floor with every single swipe. As we said earlier, the Rotator is heavier than we would like it to be. Its weight sometimes gets in the way of portability, despite its versatility of forms (read the Build and Design section). Some users have found the Navigator weighing less than the convenient amount. If a vacuum cleaner is too light, you will not be able to steer it with proper force. For now, it is a tie between the Shark models in terms of ease of use. Scroll down to see our Features section. It describes a few more factors that contribute to the vacuum cleaners’ user-friendliness. Shark geared both of these models with HEPA filters. High Efficiency Particulate Air Filters are one of the best features to throw in for top notch filtration. HEPA filters trap the tiny particles of dust from air. It is capable of removing 99.9% dirt and harmful allergens from the cleaning area. Those with high sensitivity to dust and allergens could greatly benefit from it. So when you are using a vacuum cleaner with HEPA filters, you are not only cleaning your floor but also the air around your place. The Shark Rotator has a pre motor filter as well. These are washable and have to be replaced from time to time to sustain the performance of the vacuum cleaner. The HEPA filters come with a lifetime guarantee. Nonetheless, they should be regularly washed. The tiny dust particles trapped by the Navigator and Rotator then get transferred into a sealed bin. Accompanying the HEPA filters, Shark included Anti Allergen sealed bins in both models. This technology keeps dirt and allergen from leaking out. Shark Navigator has a huge bin volume of 0.825 gallons. Surprisingly, Shark Rotator has an even bigger one. With bin capacity like this, the vacuum cleaners can go long cleaning sessions without emptying the bins. The bins are big enough for a four room cleaning session to go uninterrupted. Both of the models have easy–to–empty bins. You need to pull a button at the back of the canister to detach the bin from the body. Hold it over your trash can and push the emptying button. The bottom of the bin will fling open to dump dirt into the trash can. The process is pretty painless since it does not require you to directly come in contact with the wastages. Best Build and Design? Rotator Or Navigator? The dimensions of the Shark Rotator are 13.2 x 11.9 x 45 inches. We already discussed its weight and explained why that could be a problem (see One Reason You Should NOT Buy the Shark Rotator). There are also very good reasons to buy the Rotator. One of them is that it combines three vacuums into one – a powerful upright, a lift-away pod and a detachable canister. You can conveniently detach the canister from the head while cleaning ceilings. This three in one feature also gives the Rotator excellent maneuverability. The Shark Rotator NV752 is adorned with colors a bit different from that of the regular vacuum cleaners. The touch of maroon on silver appears to be aesthetic. Navigator NV370 has a dimension of 15 x 11.4 x 45.5 inches. It weighs 13.7 pounds. Weight can contribute a crucial amount to maneuverability. The Navigator’s lightweight makes it very compact for an upright vacuum cleaner. It’s easy to move around the house. It also houses the detachable dirt canister but it is no three in one vacuum. The outlook of the Navigator does not particularly draw attention. The color scheme is minimalistic with just white and silver. This could make it a good fit for office spaces. Shark Rotator and Navigator score pretty close to each other in terms of build and design. LED lights! The Rotator NV752 features built-in LED lights. The lights produce strong beams that help you get a clearer look at the floor. With the Rotator around, you will never miss a dusty spot in a dimly lit room. The Navigator lacks this feature. Both the Navigator and the Rotator have suction and brush controls. The simply designed control panel is placed right at the handle for ease of use. Which Shark Vacuum Model is for you? If you are looking to cut back on your budget a bit, the Navigator NV370 is a great bang for your bucks. At this price point, it operates with the same powerful suction as that of the Rotator. It is a very lightweight device and does praiseworthy cleaning job on all surfaces. If your place has hardwood or carpeted floors and you need intensive hair cleaning, the Rotator NV752 Lift-away TruePet is worth the extra money. Verdict – Which Shark Vacuum is the Best Buy in the Long Run? We observed in our in–depth review of the two Shark models that they are quite similar in features. We also pointed out some differences that can be crucial for making a purchase decision. 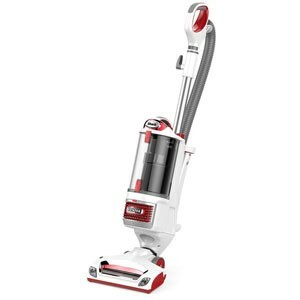 Shark Navigator NV370 and Rotator NV752 are two of the best vacuum cleaners at this price in the market. They are inexpensive yet extraordinary vacuum cleaners. When it comes to thinking about the long run, we favor the Rotator NV752 over the Navigator. Shark provides a 7 year warranty. What more can we ask for?